This is more Asian-leaning than my usual pulled pork, and I’m happy that it turned out well. This dish is dead simple to make, filling but not overly so, and comes together quickly for nights when you have more things to do than hours. Combine in a large crock pot and cook on High 6 hours. Shred. Cut the broccoli and stem into bite-sized pieces. Heat the fat in a large skillet over medium heat. When the fat comes up to temperature, add the broccoli and sprinkle with a big pinch of salt. Cook, stirring occasionally, until the broccoli no longer looks straight raw. Add the rest of the ingredients, minus the water, and cook – stirring frequently – until just beginning to soften. Add the water to de-glaze the pan and steam the broccoli and continue cooking until the water evaporates and the broccoli is done to your liking. 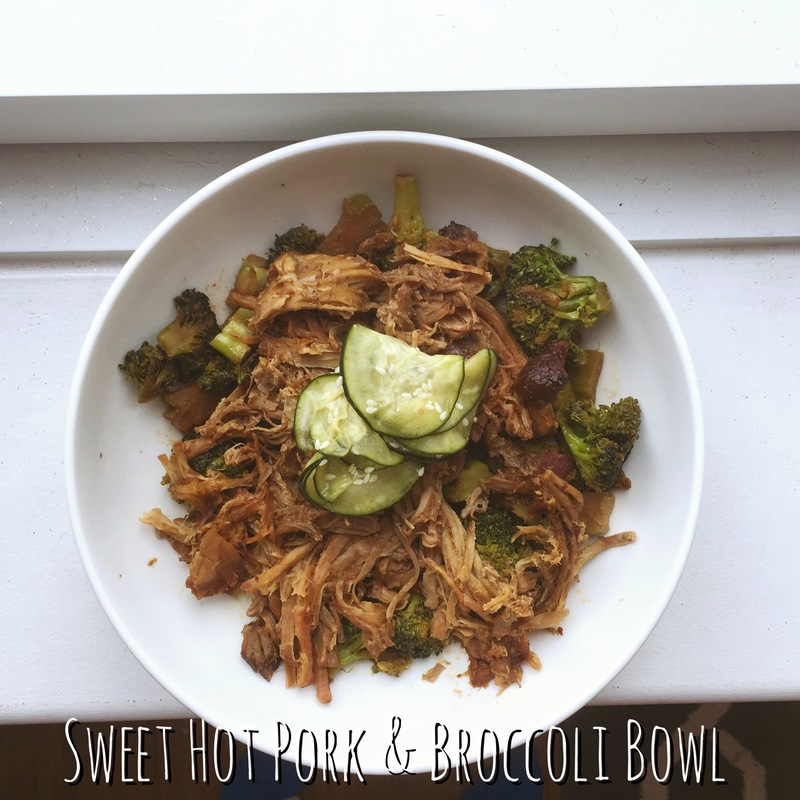 Serve the pork over the broccoli.